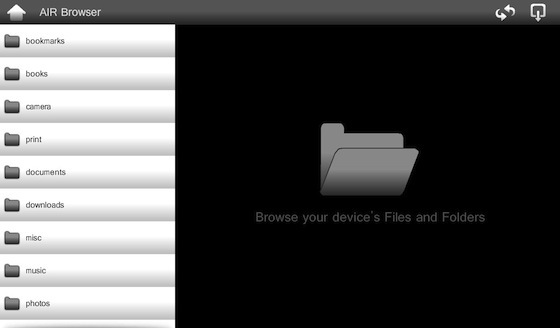 AIR Browser for the BlackBerry PlayBook is a free file explorer utility that allows you to delve a bit deeper into your PlayBook's file system. With the app you can browse directories, cut, copy and paste files as well as rename and delete files/folders. The app runs super smooth and is pretty sweet for the price. Since the PlayBook doesn't really have any type of file manager, AIR Browser lets you dive in a bit and do some cleaning as needed. Everything the app offers works well thus far, but hopefully some additional features can be added in down the road to keep it on top. AIR Browser is available as a free download in BlackBerry App World.